CyanogenMod founder Steve Kondik wants everyone to stop for a minute and reflect on something that some may think is wholly necessary: rooting your Android device. Steve has taken a look at the security enhancements that Google has added with Android 4.3, and the security trade-offs that tend to come with rooting your device, and he is wondering if root is really necessary anymore, especially if you use a custom ROM. In Android 4.3, Google has put some much more strict security provisions into the system, and some even affect what you can do with root access. Steve's logic goes like this: having root access on a stock ROM makes sense, because those ROMs limit what you can do to the system. But, what exactly are the benefits of having root access on a custom ROM like CyanogenMod? According to Steve, the answer is that there aren't really any benefits, especially given the much higher security risks posed by obtaining root access in Android 4.3. Steve says that anything you could potentially need root access for can be done (and done more securely) without root. Many tend to point to app data backup or tethering as reasons for root, but of course fellow CyanogenMod developer Koush answered both issues with his Helium app, and ClockworkMod Tether, neither of which require root. Of course, if you're using a custom ROM, you likely don't need root for Wi-Fi hotspot or tethering anyway. There are other popular reasons, but Steve says that for most problems there is a solution in custom ROMs that doesn't require root. Steve does want to be clear that he isn't planning to remove root from CyanogenMod, but rather to build more functionality into CyanogenMod which would remove more and more of the need for root access, thus making everyone's devices more secure. What about turning your phone into a wifi hotspot? ???? Back in 1806 you mean? What was the point behind behind your comment? Not anymore, you don't. My Nexus isn't rooted, and plenty of apps to create a hotspot. Tether with my nexus 4 to my cars stereo to stream audio in 320kbps usually racks up like 5ish GB per month by itself and tmobile has never said anything about it. I thought Kousk (ClockworkMod) did the Helium App, not Kondik...? Right you are. My bad. I fixed that. Well my GS3 is running 4.1.2 and plan on rooting it to 4.2.2 with LiquidSmooth. I want the stock Android experience with the S3 hardware until I get my S4 soon and my Note 3 in Oct. If the team behind Cyanogen mos can put it off, it would benefit everyone. MichealH are you planning to Root your LG Nexus? Any plans to buy the S4 with S800 CPU, or what is your next phone purchase...... ? Don't you need Root access to flash a custom Rom, anyway...? I don't see the logic here, saying that rooting is redundant by claiming that it's an open door to threats is like questioning the core philosophy of open software. Having full access to an operating system which is essentially built upon the Linux kernel makes it truly open to anyone. Besides security isn't hampered in any way since every single root request must be confirmed by the user via SuperSU. Now depends if user is stupid enough to ignore such and allow anything. It's the user's fault in the end. The feature is here for all, shall anyone not deem it useful then better stay away from it. 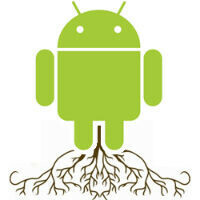 Root is still required for customizing Android at the system level and tons of Apps rely on that. His analogy is flawed and based on the assumption that open = risk. If that's the case he should also question the purpose of having root access on any linux distro out there. The problem lies with the USER who may be a total ignorant, don't blame the implementation since it was never intended to be used by users who don't have a clue about what they're doing. I still see so many ignorants rooting just for the sake of doing it or because "it's cool" to do so when they'll never actually make use of it. what is realy needed, is to change the way it works... (correct me if wrong, but is 'root' just a way to get into the 'admin' account?? If so, can it not be 'worked' like linux or windows access is?? - 'fully locked down' for the user, and admin access brings up a big warning screen saying 'be careful!' ... ) It could then be managed just the way many sysadmins do their PC networks... :) edit: oh yeah, what about all the crapware that comes with... another reason to root, if you are not rich enough to buy lots of new, expensive phones!!!! Correct, root is analogous to 'Admin' access on Linux, though it requires elevation via the terminal each time root access is invoked. It's buried deep in the system so it's not really accessible to the user, on Android the user gets a prompt while on Linux distros it's a password request. So getting root/superuser access isn't straightforward, but of course it could be prone to misuse by some users. Haven't rooted anything since ICS came out, don't see the need for it any longer. Different people have different needs but for me, Google's stock offerings have fill all the needs I have in my phone and tablets. But if you dont root your stock rom , how can you flash awesome roms like paranoid android/cyanogen/aokp/miui or whatever you prefer ? There are awesome things i can do with root , such as tweaking my device to its max performance and my own liking , different people has different needs , my friend for example tiara8918 and wendyG has never been rooted and they cant sense the smell of freedom of being rooted . If you dont need / want to be rooted , i dont blame you , but hey , root is awesome . Installing game data to external sd still requires root Kernel setting requires root Game hacks requires root There still many things that requires root to do does android 4.3 can do all that things without root? If Steve says so, I would nod my head and wait for CM 10.2! If someone can tell me how I can get my phone to automatically switch to the SwiftKey keyboard when in landscape and Swype keyboard in portrait without root, please do. All of the research I did has indicated that I need root to do this. I don't think he is saying he wants to prevent root acces, but only pre-rooted custom ROMS. I am sure if root is removed, the device would be easily rooted. I highly doubt that any custom ROM would be hard to root.